The pro-Biafra group likewise spoke on Kanu's association with Niger Delta Avengers (NDA), saying they are intertwined in the struggle for the independence of Biafra. The statement read in full, "Trying the discredited divide and rule tactics of using the media to claim Nnamdi Kanu denied NDA in order to engineer acrimony and hatred between him and NDA has failed woefully. South South and South East are united in this noble quest for freedom and no amount of media manipulation can alter this fact. Only if Buhari knows who Nnamdi Kanu truly is or the amount of influence he commands among the people of South East and South South he won’t listen to the lies Lawal Daura of DSS and Ohanaeze Ndigbo have been feeding him. “Although we acknowledge that our lawyers spoke out of turn in a recent press conference, we are also aware that Mr. Rochas Okorocha who parades himself to the contrary as an Igbo man has been working as a front man for Muhammadu Buhari to penetrate and compromise IPOB governing structure and our lawyers. We are aware of the grand conspiracy orchestrated by Rochas Okorocha to penetrate IPOB by all and any means necessary. “We know that one of our lawyers has been meeting with Okorocha clandestinely in the past few weeks just like Buhari through Lawal Daura of DSS has been doing through inducements and threats. Some of our lawyers are currently being investigated by the EFCC at the behest of Daura of DSS over a land case settled years ago, in order to unsettle them sufficiently to turn to DSS informants and ultimately undermine the legal defence of our leader as was the case with Vincent Obetta. “In spite of all these shenanigans by Buhari through Daura of DSS and his co-jesters in the media peddling falsehood about negotiations that our leader never consented to, IPOB worldwide is unwavering, determined and resolute under the supreme command of Nnamdi Kanu. “No other person dead or alive has the right to command or can command IPOB whether that person is residing in Government house in Owerri or from a private hospital in Nnewi. Only Nnamdi Kanu can tell us in IPOB what to do and we obey. Anybody else attempting to do so will be comprehensively disgraced. IPOB rank and file is with their leader Nnamdi Kanu and we speak with one voice. Our decision remains that there will be NO negotiations with Nigeria until Buhari obeys court orders for the unconditional release of Nnamdi Kanu. “We would like to remind everyone that whatever statement or information is provided by IPOB either through our spokespersons or live on Radio Biafra broadcast by our Deputy Director is exactly the mind of our leader Nnamdi Kanu because he trained us to always put the needs of Biafra restoration first and never to retreat nor surrender. From the time of the arrest of our leader till date he has never at any time disputed publicly or in private, through his wife or family members any press statement issued by IPOB official spokespersons. “Furthermore, IPOB is aware that Buhari is planning to kill our leader Nnamdi Kanu and is doing so with active connivance of some Igbo politicians with certain executive members of Ohanaeze Ndigbo. We warn Buhari and his cohorts that the murder of Nnamdi Kanu will spell doom not just for Nigeria but the entire sub-region because the fall out will be too disastrous for a sane mind to contemplate. “Anybody from the government of Nigeria or Ohanaeze Ndigbo that thinks that Nnamdi Kanu can be another Ken Saro-Wiwa or MKO Abiola is digging their own grave. 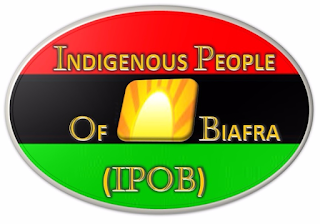 “IPOB is a global phenomenon, unprecedented in the history of freedom fighting anywhere on earth. We are all over the world with fanatical following. That IPOB has vowed to maintain a peaceful approach to liberating Biafra from the contraption called Nigeria does not translate to allowing Buhari and his conniving so-called Igbo elites to assassinate Mazi Nnamdi Kanu and go scot-free. That will never happen. “We would like to state that IPOB is aware of the fact that all over the world terms for self-determination is always negotiated. But what we insist on is that for Buhari to start any negotiation with IPOB on a peaceful exit of Biafra from Nigeria he must first obey court orders on the unconditional release of Nnamdi Kanu. Buhari should also release all Biafrans illegally detained in various prisons in Nigeria. 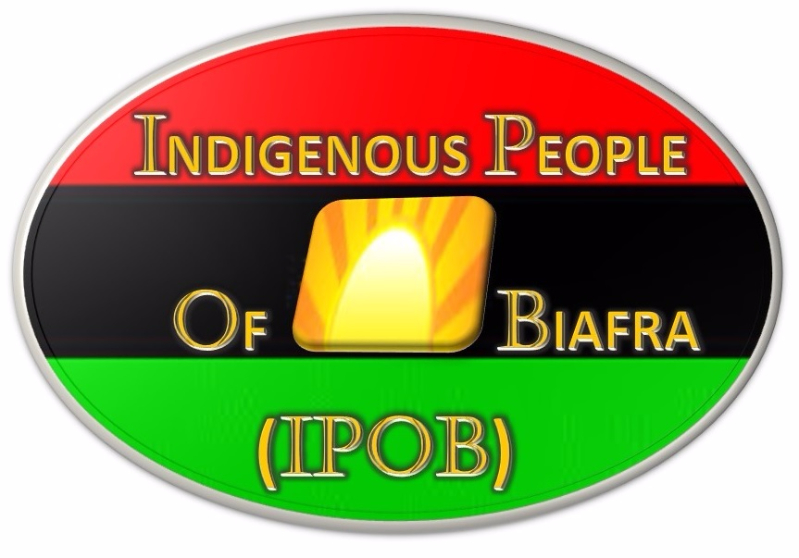 “However, IPOB would like to take this opportunity to commend the Attorney General of the Federation (AGF) of Nigeria, Hon. Abubakar Malami (SAN) and all those endowed with common sense who have come to understand that all IPOB family members arrested must be released unconditionally because our quest is the restoration of Biafra and not to take over the rulership of Nigeria. “It is instructive to note that the AGF dropped all the charges against IPOB members in Abia State even when Okezie Ikpeazu Abia State governor and other killers of innocent Biafrans in government houses were hell-bent on forging ahead with the ridiculous treasonable felony charges. “It is a fact that some people within the Judiciary know that there is no evidence of treasonable felony in the case against Nnamdi Kanu which was why a more learned and highly respected judge like Ademola dismissed these charges at the same Federal High Court John Tsoho is now sitting today to make a mockery of himself and justice. “Finally, we want to reiterate that IPOB and NDA share the same ideology and philosophy concerning the liberation of Biafra from Nigeria and this will be the centrepiece of any negotiation that will take place after the unconditional release of Nnamdi Kanu. "We re-emphasize our stance that there is no negotiation going on at this time and that IPOB and N.D.A. are inseparable in their objectives and expected outcomes. “It is either we get Biafra or we die trying to get Biafra. There is no middle ground, there is no compromising this cardinal point. Let it be known to humanity that there will be no negotiation without first effecting the release of Nnamdi Kanu unconditionally.